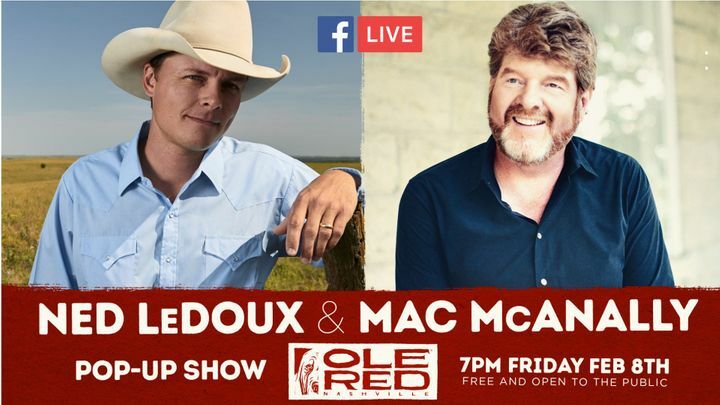 Tune in to Ned's Facebook at 7 pm CST TONIGHT to see a LIVE stream from NASHVILLE! Great show! Ned just keeps getting better. Always a 5 star show! Enjoy these guys so dang much!! Awesome concert; big fan of Chris, now big fan of Ned! Thanks for signing your dad's t shirt for me! Great great show!! Had SUCH an amazing time. Ned is an incredible musician!! Must see!! Best concert by a country entertainer. Very friendly and he stayed until everyone wanting an autograph or picture was satisfied. Sounds just like his Father. Awesome talent great story telling songwriter. Will definitely watch out for again. Ned LeDoux put on a great show at the Grizzly Rose Saturday night. The crowd filled the enormous dance floor, pushing tightly against the stage and interacting with Ned and the band. Ned was energized by the Stock Show crowd singing along with him. He did a full show along with an encore then still stayed, shook hands and signed autographs for every fan wishing to meet him.